Of the RGS roster Download also allows multiple users parallel processing of detailed service and shift schedules. In addition, the shareware provides a corkboard to create short notes. RGS roster, the registered services represent contrasting color, thus ensuring a better overview. 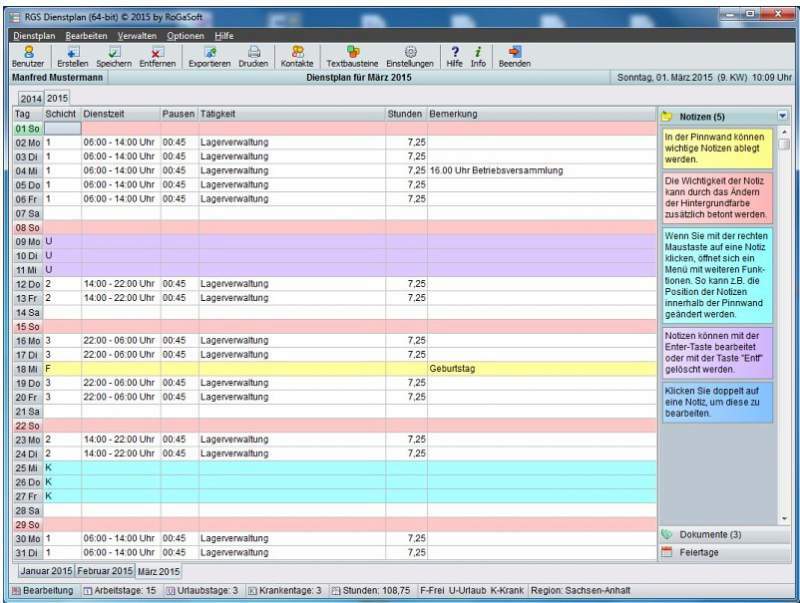 For faster filling out the plans of the personnel manager offers user-definable text blocks. All service plans as well as time sheets and annual statements to print from comfortable, saves them as PDF or image files. In addition, RGS roster manages various types of documents. Export functions for different file formats and an integrated wizard to back up the items round out the functions of office assistant.